There has been an increased focus lately on the need for “HR agility” within progressive organizations that are seeking a profound competitive edge in the digital world. However, there is a lurking concern that HR agility is in danger of becoming a buzzword in corporate conversations, rather than, actually delivering on its promise. 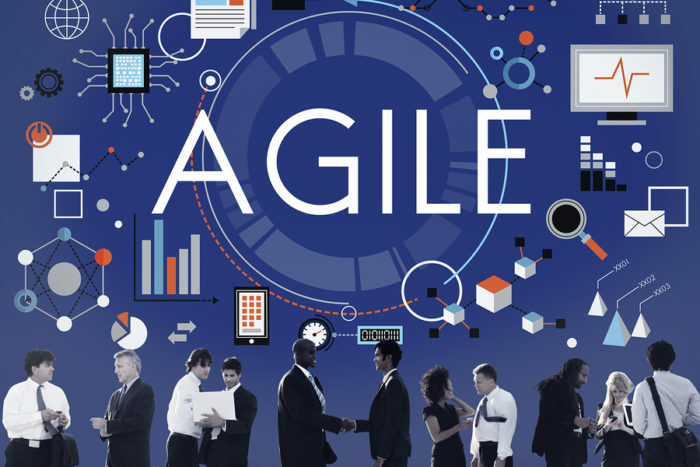 Let’s gain an understanding of what HR agility actually is before proceeding any further. HR agility is the ability of the HR department to respond quickly and effectively to changing employee expectations, workplace disruptions and business requirements. Therefore, the HR function must rise to a level where it can keep pace with the evolving demands of the digital world. A significant number of HR leaders see HR agility as their ticket to the “big table” where they will participate as strategic partners in determining the future direction of the organization. This has prompted quite a few initiatives to have been hastily undertaken to provide evidence of that agility. However, this opens the door for committing significant errors, especially, in terms of overestimating the inherent strengths of the HR function and the daunting challenges of maintaining a brisk pace while delivering desired results on multiple fronts. Consequently, it is prudent to gain a clear understanding of the status-quo in order to ensure that a baseline is firmly established before any measures are taken within the realm of HR agility. This also systemizes the approach to ingraining agility within HR and lays the foundation for consistently providing a high probability of success in terms of fulfilling desired expectations. To do that, use the HR Agility Scale questionnaire (down load it here) for an honest self-reflection and to establish a baseline. The results obtained can then be used to develop astute strategies and action plans that are designed in congruence with associated goals and objectives. Another effective way to benefit from the HR Agility Scale is to use it periodically, e.g., annually, for developing a temporal record of the status-quo in order to gauge the improvement level in the agility of the HR function and the lessons learned in terms of overcoming any impediments or challenges. This can also be tied to corroborating performance metrics, e.g., average time to hire, average cost per hire, average complaint resolution time, performance rating average of HR employees, bench strength for succession planning, problem employee rate, HR function satisfaction rate, annual training and development (T&D) cost per employee, annual training and development (T&D) hours per employee, diversity and inclusion (D&I) rate, etc., and surveys from “client” functions within the organization that can provide factual evidence of HR function’s enhanced ability to meet and exceed expectations. HR agility requires sincere teamwork with client functions and it thrives on constructive feedback that is crucial for refining the approach taken to provide services. The aforementioned scale inevitably creates a robust bond between the role played by HR and the organizational imperatives. Furthermore, it provides the impetus for innovation that is increasingly becoming a lifesaving skill for organizations in an era where the proverbial sun routinely sets on the titans of yesterday that are still caught up in the hangover of past accomplishments and perilously ignoring or complacent at the rise of ambitious start-ups eager to disrupt the corporate landscape.